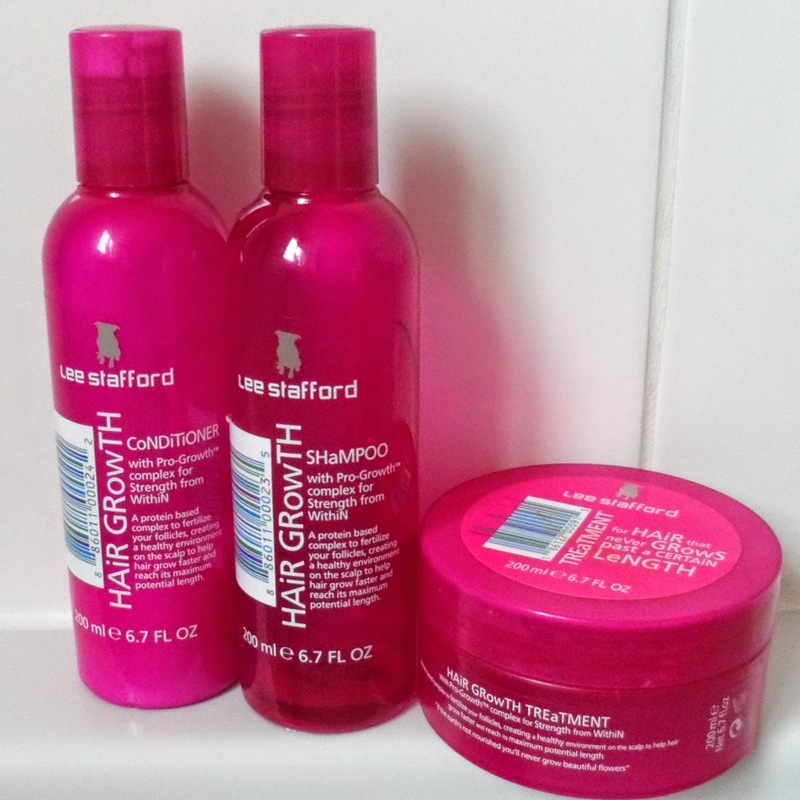 There are just the three products in the range; the shampoo, conditioner and the treatment. The Shampoo and Conditioner retail at £6.99 and the treatment costs £7.99 so they aren't the cheapest hair products around. I used the products for about a month and a half, on and off with the intention of growing out my fringe for festival season- I don't want a greasy full fringe slapped to my forehead it's not a good look and my hair gets so greasy, so quickly that dry shampoo can't even help me. 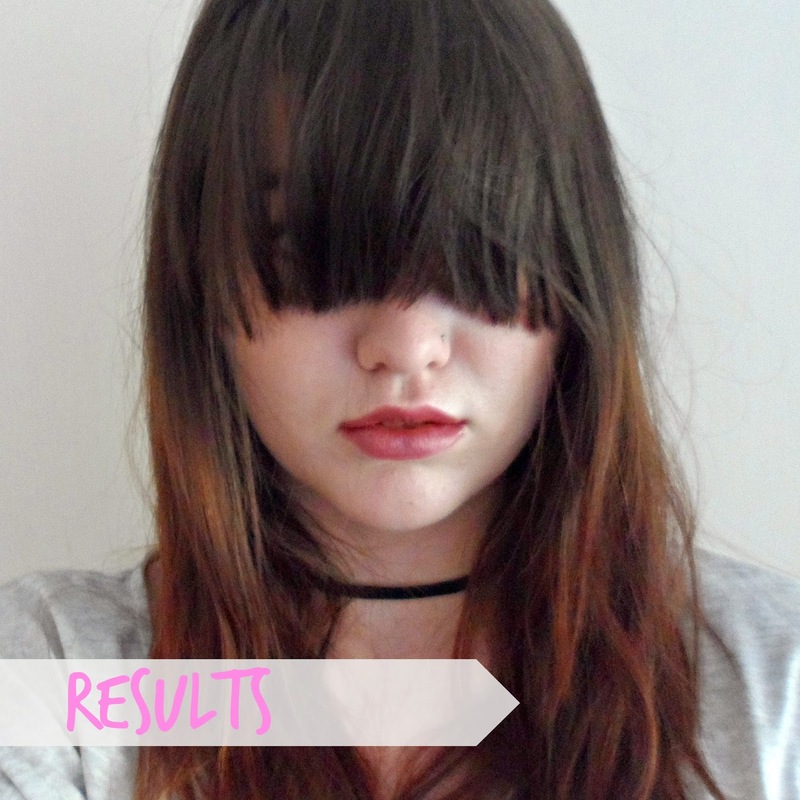 What shocked me the most was that you use the treatment in between shampooing and conditioning- I've only ever used treatments you use after everything else or on their own. Another thing I wasn't expecting was that you massage the treatment on to your scalp as well as the rest of your hair because most hair treatments are only used at the ends of your hair. I was a bit concerned about applying the treatment at my roots because my hair is naturally oily so I thought it might weigh down my hair and make it look greasy but to my pleasant surprise it gave my hair volume and didn't make it greasy at all. My hair feels in such good condition when I use this stuff, from root to tip which is excellent. Then there is the growth aspect. The idea behind the products is that they improve the condition of your scalp which in turn helps it grow quicker than when your scalp is a little neglected and I can honestly say it works. A silly picture I know, but it's pretty obvious that it's helped me grow out my fringe like I wanted it to. My hair grew around 2 inches in about a month and half which is probably twice as quick as my hair usually grows, if not even quicker. It isn't the miracle growth treatment that some people might want for the price tag but to be brutally honest nothing will be. I hate to be a party pooper but there is no magic potion that will take your pixie crop and turn it into locks to rival Rapunzel's in a matter of weeks, I'm afraid it just isn't possible. These products might not be that maigic potion but they are probably as close as you'll get to it and they are bloody fantastic. THANK YOU MR STAFFORD! Let me know if you try these products and if you're as pleased with the results as I am! This treatment sounds really interesting. I too have not used one in between shampoo and conditioner and never let it touch my scalp! But it sounds like a good product. Haha love the cute pic! We're Shannon & Alex and we're not your usual pretty in pink bloggers so expect more fun than floral! We're both studying at Sheffield Hallam Uni - Shannon is doing Journalism and Alex is studying Creative Writing.